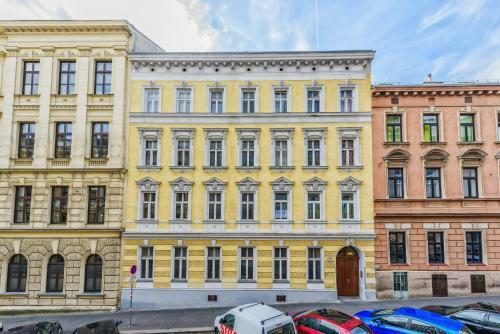 Located in Vienna, 1.6 km from Wiener Stadthalle and 1.6 km from Schönbrunn Palace, Palais Joseph Apartments offers free WiFi. The units come with parquet floors and feature a fully equipped kitchen with a microwave, a flat-screen TV, and a private bathroom with shower and a hair dryer. A fridge is also provided, as well as a coffee machine and a kettle. Raimund Theatre is 2.1 km from Palais Joseph Apartments, while Schönbrunn Zoo is 3 km away. The nearest airport is Vienna International Airport, 24 km from the accommodation.